Thank you so much devs for the Nintendo Switch announcement! 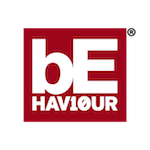 Seriously thank you so much Behaviour! Having my favourite game on the go and when I travel is very exciting. Im sure it will be a massive challenge to your team but I have faith in yous delivering a great version that everyone will enjoy. Seriously thank you so much guys! Keep up the great work Behaviour! The game will have dedicated servers by then, so it wouldn't matter for the wifi part. Not for survivors anyway. But yeah enjoy those 10fps to be more exact.